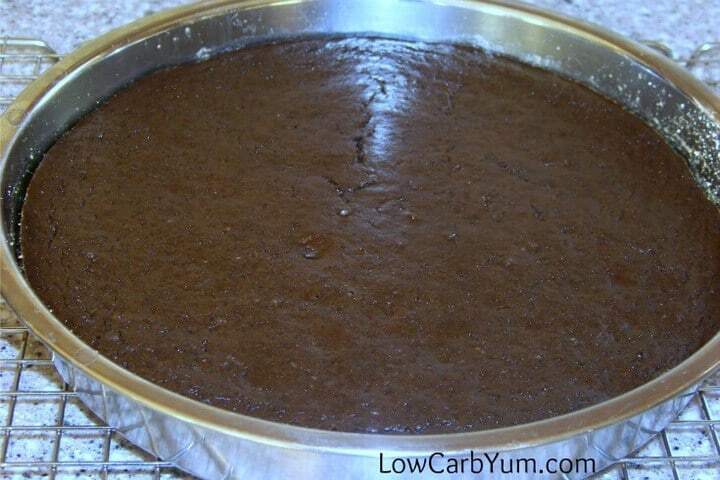 One of the most amazing peanut flour recipes, a rich low carb chocolate cake. 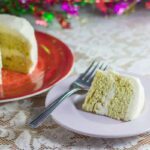 This gluten free cake is topped with a sugar free buttercream frosting. 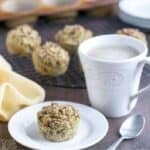 Peanut Flour is my new favorite alternative flour for low carb baking. 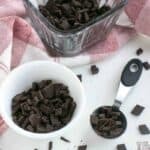 It does give a slight peanut butter flavor, but some of the fat has been removed so it is much lighter than using ground peanuts. I’m still experimenting with peanut flour recipes as this is only the third I’ve used it in. Last weekend, I baked a regular boxed cake for my family to enjoy while I was away on a business trip. 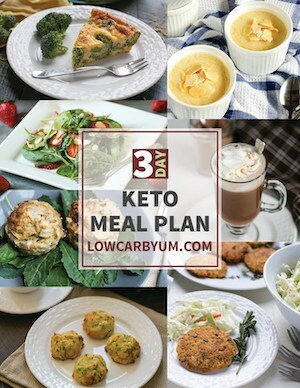 The cake looked really good and I started thinking about how I could make a low carb one for myself when I got back. 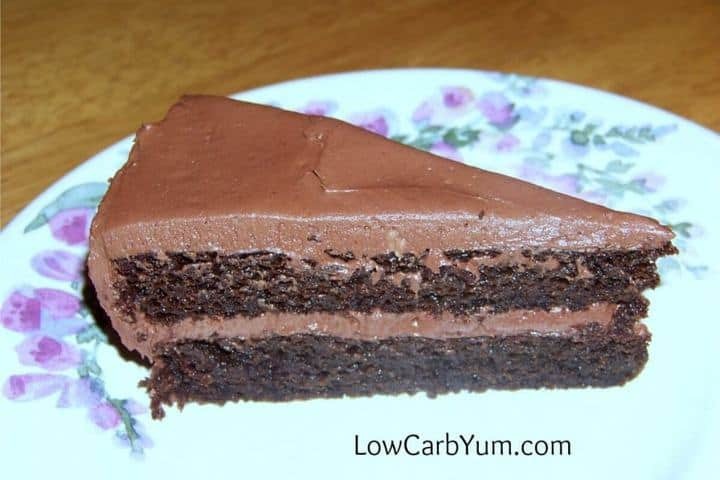 I’ve read that others have made some great tasting low carb cakes using peanut flour, like the Extreme Chocolate Cake by Maria Emmerich, so I thought I’d give it a try. 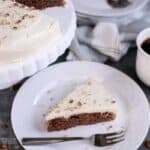 I looked over what others have done and then compared that to some regular chocolate cake recipes that I have in my collection. 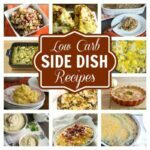 I took a little from all the recipes and came up with my own. I’m sure there is still a little more tweaking that can be done, so I’d love to hear others thoughts. 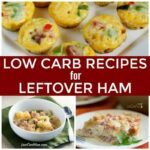 This is my favorite of the low carb peanut flour recipes I’ve tried. 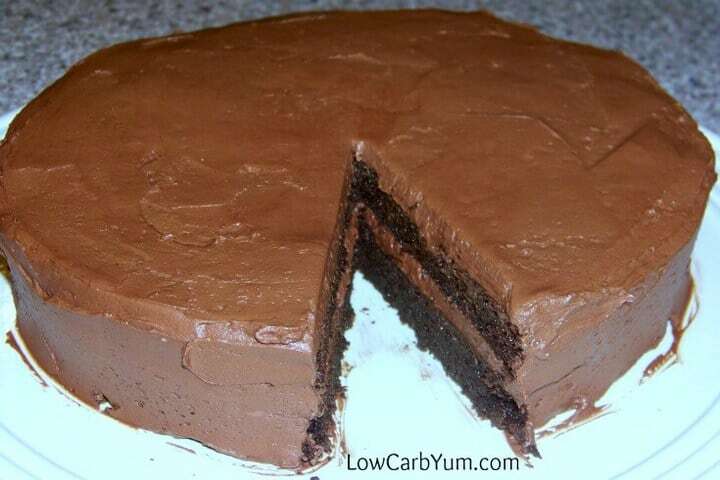 And, the low carb chocolate cake is really moist. It was eaten by my daughter without any complaints. I didn’t tell her about the peanut flour which I bought here, but she did say that it tasted like a Reese’s peanut butter cup. I could taste a hint of peanut butter, but it wasn’t very strong. I don’t have any non-stick silicone cake pans, so I had to figure out how to keep the cake from sticking to the pans. 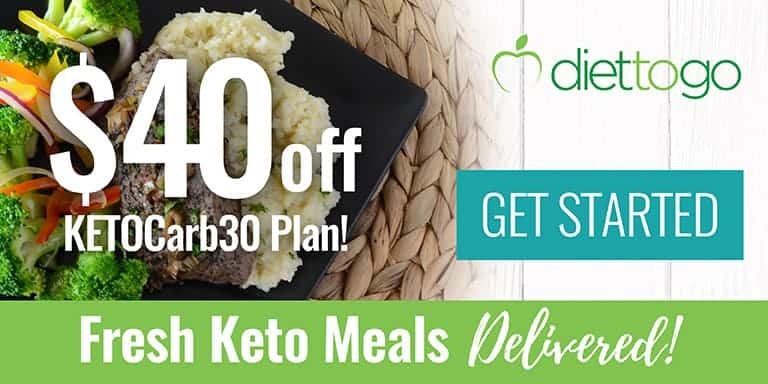 After reading how others make low carb cakes, I decided to cut parchment paper into circles that would line the bottom of my metal 9 inch round cake pans. 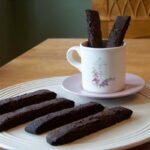 That worked out really well, as the cakes came right out of the pans. I’m sure they would have stuck if I didn’t use the parchment paper. I also greased the pan and lightly coated with a bit of peanut flour along the sides which probably wasn’t necessary. 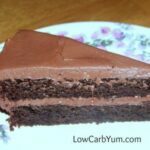 If there are no peanut allergies in your home, this is a wonderful low carb chocolate cake to share with your family. It may have a hint of peanut butter in it, but that shouldn’t get any complaints. Who doesn’t love the combination of chocolate and peanut butter? Not many! 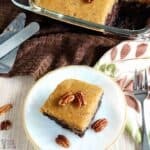 An amazing low carb peanut flour chocolate cake. 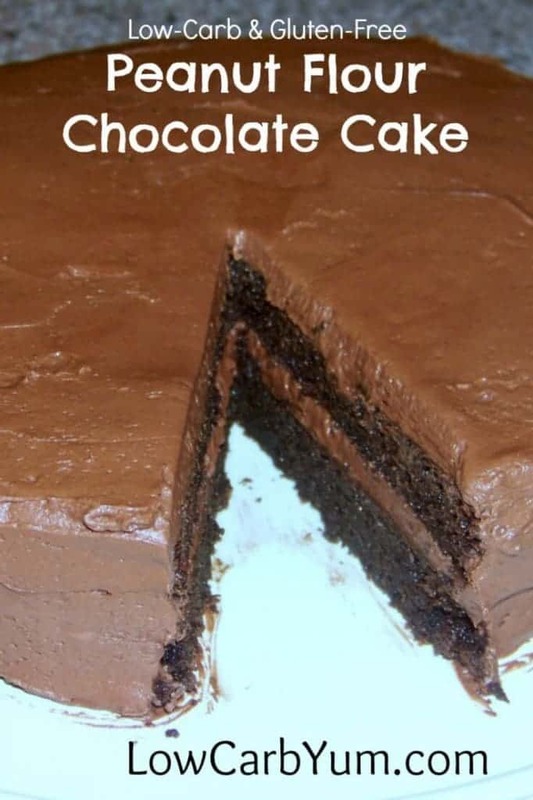 This gluten free cake is made extra special by topping it with a sugar free chocolate buttercream frosting. 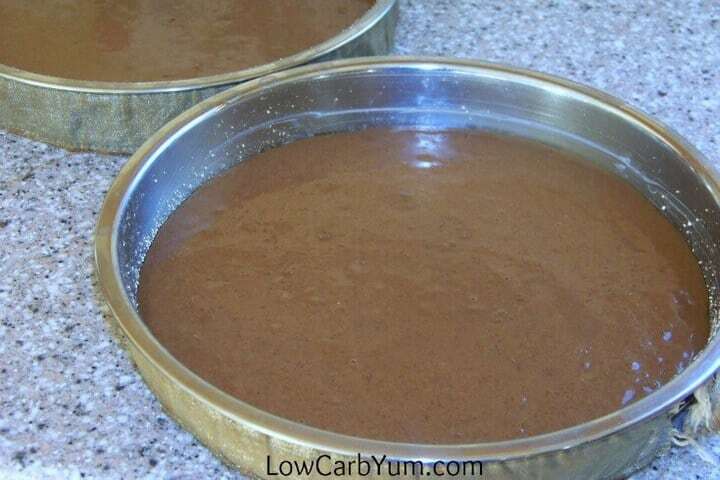 Preheat oven to 350 degrees F. Line bottoms of two 9 inch round cake pans with parchment paper. Lightly spray the parchment paper with oil so it can be removed easily. 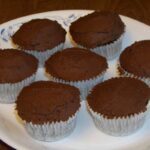 Stir together peanut flour, sweetener, stevia, cocoa, baking powder, baking soda, and salt in mixing bowl. Add eggs, coconut milk, melted coconut oil and vanilla. Beat with electric mixer on medium speed about 2 minutes. Bake about 20-25 minutes or until toothpick inserted comes out clean. Cool on racks about 10 minutes, then remove from pans and leave cakes on racks to cool. Cream the butter and shortening together in mixing bowl. Add erythritol and cocoa powder. Mix until combined. Slowly add coconut milk and beat until incorporated. Mix in vanilla extract and stevia glycerite. Beat until a good consistency is reached. Frost layers of cooled cake with frosting.